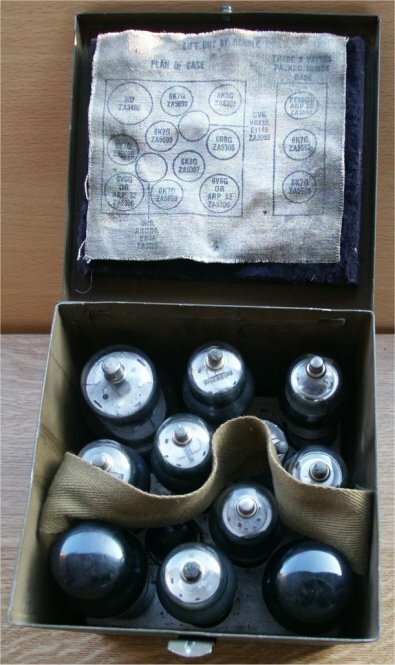 Together with the WS19, a box containing spare valves was issued. 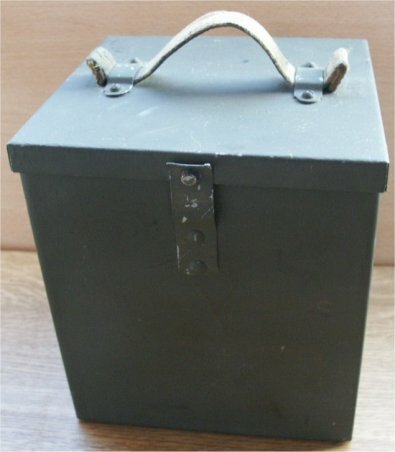 This box came from an Italian lot of surplus. Some @#$@!# Italian artist painted this box. Bye, bye markings. 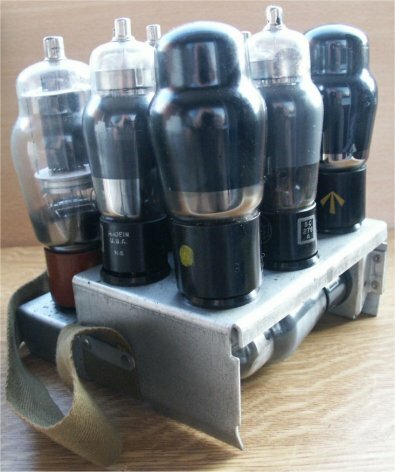 The interior, containing the valves, could be lifted by means of the green strap. 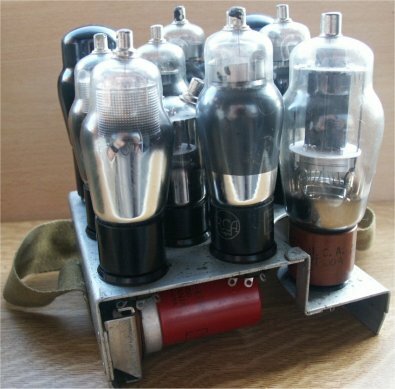 Tubes could be located by means of the printed cloth in the cover. Three tubes were mounted under the frame. The red one is the famous EF50, made by Philips-Holland. Just before the outbreak of the war, a million (!) of these were exported on trucks to England. The other side. Notice the Broad Arrow!